Irishman disappointed but stands by under-fire boss. 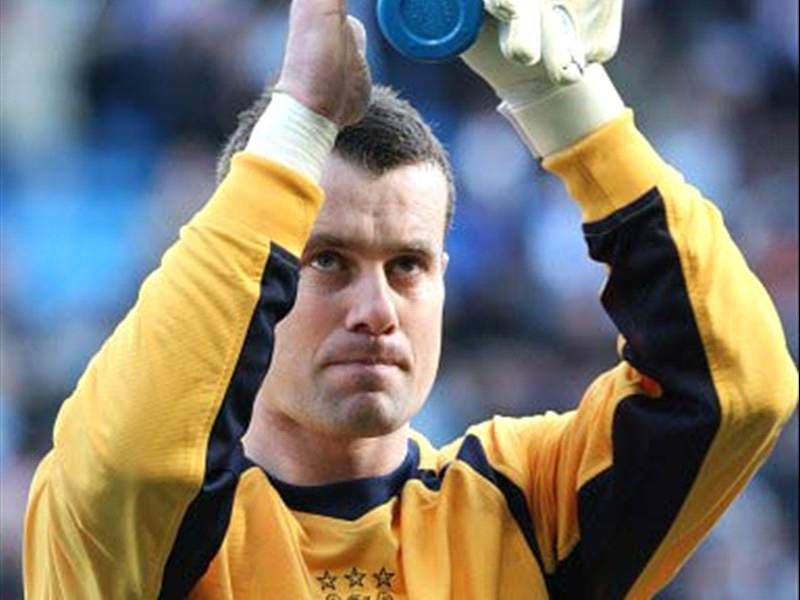 Shay Given has admitted his "disappointment" after Manchester City were knocked out of the FA Cup by Stoke City, but insisted that it was too early for people to question manager Roberto Mancini’s position. City were beaten 3-1 in extra time by Stoke City on Wednesday night and following the club’s League Cup defeat to Manchester United, coupled with their recent disappointing league form, Roberto Mancini’s position has been called into question. Having won six of his first seven games for the Citizens, Mancini has now only recorded two wins in eight games, and with a trip to Stamford Bridge looming, the pressure is firmly on the Italian. Given insisted, however, that while the pressure was understandable given City’s status as a big club, they should at least wait until the end of the season before making any decisions. According to the Press Association, when asked if he thought it was too early for people to question Mancini’s future, Given said: "Yes. It is a big club, obviously, and there is huge expectation at the club now, but we have to just try and take a deep breath and try and finish the season on a high. "We are very much in contention for fourth spot and we've got to focus on that, hopefully we can do that and then reassess things in the summer." Given revealed his disappointment at exiting the Cup, and sympathised with the fans after they look set for another season without silverware. He said: "We were disappointed, obviously, after last night - it was a huge disappointment for the players, the club and the supporters. "But what can you say? We're knocked out of the cup and we have to move on." For more news on England, visit Goal.com's England section!